A crumbling manor, a mysterious curse, a sea mist and creepy deaths. How could I (of all people) resist? I am completely unfamiliar with the book (of the same name) by Susan Hill, which is rather unlike me. And I was unable to see the staged version while in London this summer. So I came to the film knowing nothing about the story, which was quite an unusual treat for me. 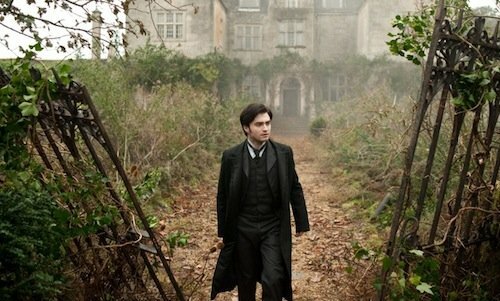 Arthur Kipps (Daniel Radcliffe) is a London solicitor still struggling with the death of his wife. He is now raising his young son Joseph with the help of a no-nonsense and efficient nanny. His boss gives him one more assignment to prove his worth to the firm and sends him to a non-descript village in England’s East coast. His task is to settle the estate of Alice Drablow, formerly of Eel Marsh House. Fans of Dracula will recognize similarities in these opening scenes. The villagers are painfully tight-lipped and Arthur finds just one person who will drive him across the tidal and misty marshes to the entrance of the Drablow estate. Once there, he is abandoned until the tides break once more. Ensconced in the home and determined to prove himself worthy, he begins his quest through tattered and tanned documents, looking for anything that may shed light on Mrs. Drablow’s final requests. But Arthur gets precious little done as he is continuously interrupted by the sounds of footsteps and a vision of a veiled lady. Confused but unperturbed he returns to the village to ask questions. He is once again told to return to London and leave their town. 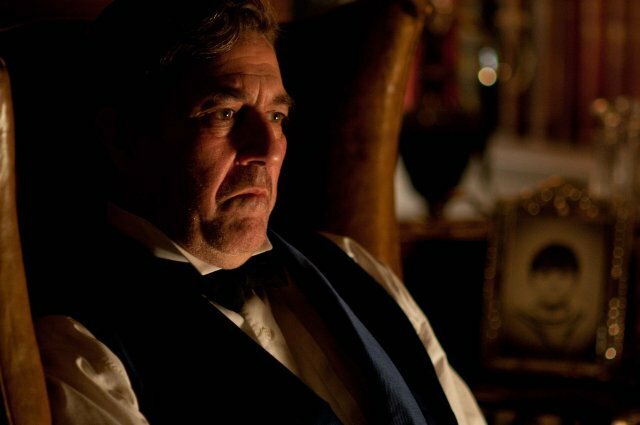 Only one villager is welcoming – Sam Daily (Ciaran Hinds). He is quick to dismiss the superstitions and ghostly tales of the common townfolk, despite having lost his own son years before… and having a wife who claims to be a medium. The story pulls from many gothic elements and therefore allows the viewer to fill in the details with their own expectations. At the same time, the filmmakers treated the genre with respect. The set of Eel Marsh House is incredibly lush. Wallpaper patterns, antique toys, and window latches all work to create the atmosphere. At times I wished for a touch more lighting so those details could be better enjoyed. Still, a hint more of realism would have served the film well. For example, the small family cemetery on the estate looks to be made of foam and borrowed from a Disney ride. And the rusty front gate is propped open almost too perfectly askew. The sound design is delightful. There is some use of typical creaks and moans, but a great deal of it was original. The scream of the Woman in Black is horrifying and I wouldn’t be a bit surprised if they mixed a recording of nails on a chalkboard in there. Someone involved in the production design knows their stuff. There is a wonderful blend of the modern versus tradition at play. Sam drives a car, which is instrumental in the resolution of the story, while Keckwick (Daniel Cerqueira) drives a horse and carriage. Telephones exist, but the village doesn’t have one. And as Arthur rides the train, we see him notice a story on theosophy and mediums, a very popular subject at the time. 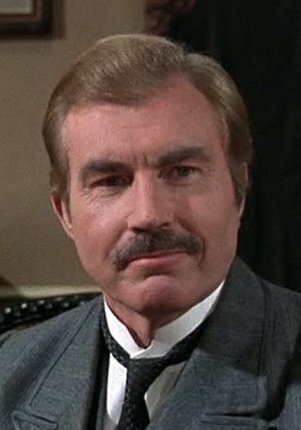 It even gives a nod to Sir Arthur Conan Doyle, himself a proponent of theosophy in later years. The story occasionally plods, but it does allow the audience to catch its breath after a scare or two. I would have liked to see even more detail and background about the Drablow family and ‘what really happened’ through the archival material that is found. Or perhaps in stories from a townie. Although we basically piece it together, a bit more detail would have helped fill it out. Without giving anything away, some motives are less than clear. This is an enjoyable ghost story with plenty of scares for teenagers who want to see Harry all grown up, and plenty of suspense for adults who like to solve a mystery.